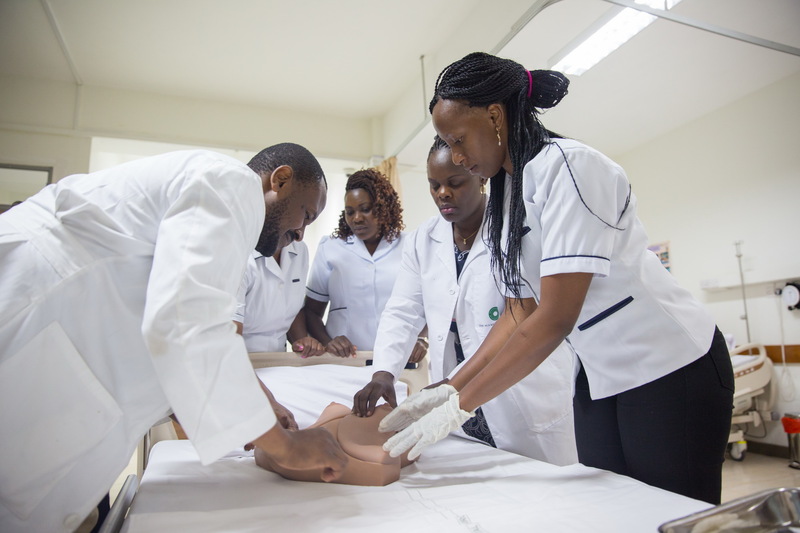 In 2018, the first batch of nurses to have studied for a Diploma in Oncology graduated from the Aga Khan University's School of Nursing and Midwifery in Nairobi. They are the first nurses in East Africa to be specifically trained in this specialisation. Women in Kenya with metastatic breast cancer, where cancer has spread to other parts of the body, can now access a comprehensive website containing up-to-date information and resources on how to improve and enrich their quality of life. Launched by the Kenyan Metastatic Breast Cancer Network (KMBCN) in partnership with Aga Khan University, the website is a hub for information on virtual support groups, clinical trials, nearby health facilities, educational videos and advice columns on exercise, diet and lifestyle. Breast cancer is a major public health concern in Africa. In Kenya as many as three out of four women who get breast cancer are diagnosed late. Most of these women do not receive any support services, referrals to specialists or emotional care at a time when they need it the most. This means that many metastatic breast cancer patients suffer from serious mental distress including anxiety and depression. This project is funded by Union for International Cancer Control (UICC) through the SPARC grant awarded to Aga Khan University Hospital, Nairobi. UICC is an advocacy group, which represents the world’s major cancer societies, ministries of health and patient communities. As part of the Seeding Progress and Resources for the Cancer Community: metastatic Breast Cancer Challenge (SPARC mBC Challenge) launched in 2015 by UICC and Pfizer, 40 cancer organisations in 30 countries have already received SPARC grants to start new projects addressing the needs of metastatic breast cancer patients. The data and research from local communities that lead to policy and planning are crucial in alleviating a nation’s suffering from cancer, Dr. Shaikh added. “There are research and data collection tools in this site that will help in health policy and planning to manage cancer in Kenya.” The information collected through the website is in line with the goals of the Kenyan Health Ministry’s National Cancer Control Strategy 2017-2022. Also present at the occasion was Dr. Alfred Karagu, CEO, National Cancer Institute of Kenya (NCI), the coordinating body for all cancer control activities in the country, who said that with a majority of Kenyans having access to internet in the region and a high percentage of literate women in the country, the forum will go a long way towards improving their quality of life. Professor Robert Armstrong, founding dean of the AKU Medical College in East Africa, said the website would be an invaluable resource for research in line with Aga Khan University’s vision and hoped it would contribute positively towards addressing the needs of cancer patients. The project will see Dr. Shaikh collaborate with several other public and private hospitals, cancer support groups, NCI, Kenya Society of Haematology and Oncology, Kenyan Network of Cancer Organisations and other cancer care centres in Kenya to assess and meet the needs of the country’s breast cancer patients. The website’s vision matches targets under goal 3 of the global Sustainable Development Goals: ensuring healthy lives and promoting well-being for all at all ages that call for steps to improve mental health and to tackle the burden of non-communicable diseases such as cancer.